On August 25, 1916, Congress established the National Park Service (NPS) and Hot Springs Reservation came under its administration & was set aside by Congress in 1832. This makes Hot Springs National Park the oldest unit in the national park system, 40 years older than Yellowstone National Park. Stephen T. Mather, head of the new organization, took a serious interest in the development of the site and it led to its designation as the eighteenth national park on March 4, 1921. 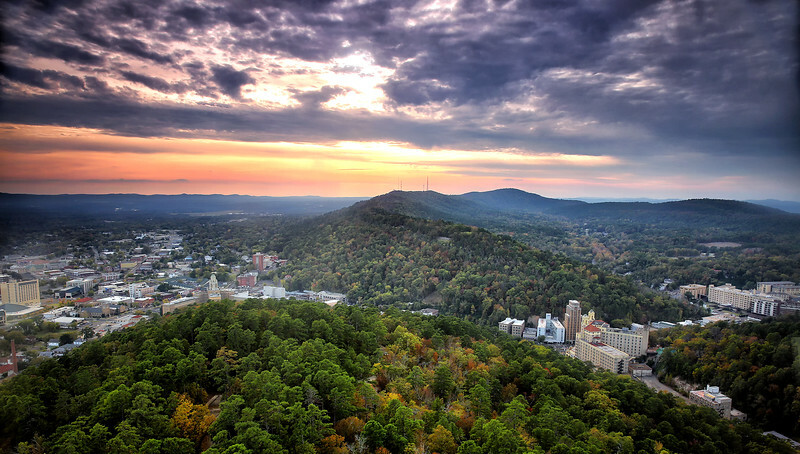 According to Stephen Rudd, Natural Resources Program Manager at Hot Springs National Park, when the Congress of the United States set aside Hot Springs Reservation in 1832, they set a new precedent on a global scale. No other governing body, foreign or domestic, had ever set aside a piece of real estate for the expressed purpose of preserving and protecting a unique natural resource. This, of course was the park‟s geothermal spring complex. That concept and, indeed, even the verbiage would become an integral component of the Organic Act of 1916 and essentially the credo of the newly created National Park Service (also in 1916). As far as Stephen is aware, no other NPS area is specifically charged with the responsibility of ‘giving away’ its primary natural resource in an unaltered state throughout perpetuity. That was part of the park‟s somewhat unique enabling legislation and is still valid today. While Yellowstone was, in fact, the first National Park in this country, this park has the distinction of predating them by 40 years although Hot Springs didn’t enjoy actual National Park status until 1921. This area has been under some form of federal protection for over 175 years. This enabling legislation also addresses the need to preserve and protect the recharge area that ultimately feeds those springs. One of the primary reasons the old growth stands remain largely unfettered by man is that absolute mandate. These upland forest communities essentially predate European influence as they have been protected by federal authorities since the area started to become colonized back in the early 1800s. All of this protection has preserved these old growth forest stands in a forest so close to an urban area. Several trees within two old growth forest stands of oak/hickory/pine forest within the national park were core-dated by the Department of Geography, University of Arkansas and were found to be over 400 years old at that time (estimate they did the core work in 1985, this fact is under verification). If the cores were done in 1985, the trees were dated around 1585, ± 30-50 years. One site, North Mountain area, is accessible from the North Mountain Loop, or the Dogwood or the Goat Rock Trails and the other site, Sugarloaf area, is near Balanced Rock along the Sunset Trail just west of the Cedar Glades summit. These old growth forest stands cover approximately 220 acres ± and are considered significant old growth trees for this area and our state.